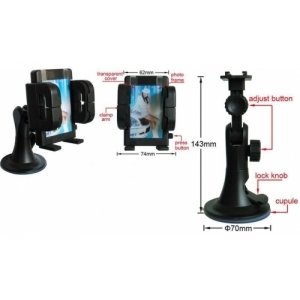 Sutiable for Almost ALL SatNavs & Phones on the market including:- iPhone, Blackberry, Nokia, HTC, Samsung, iPhone, Motorola, LG, Sony Ericsson, TomTom, Goodmans, Garmin, NavMan, Mio, RAC, MyGuide, Binatone, NaviGon, Medion.etc. will hold a blackberry curve mobile phone? Hi yes it should be fine. 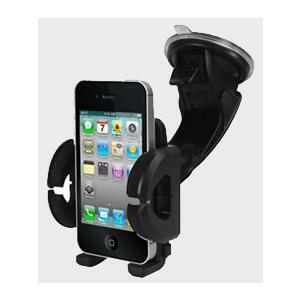 Hi, I'm looking for a iphone holder to use when I'm using my iphone as a sat nav in a rental car. Is this product suitable of have you got something else you would suggest? will this mount fit tomtom go 750 live allowing the charging cable to remain attached? Hi do you mean Start 25 TomTom SatNav ? Hi delivery charges are on the right hand side towards the top. I have a/an Garmin Nuvi 310 SatNav. 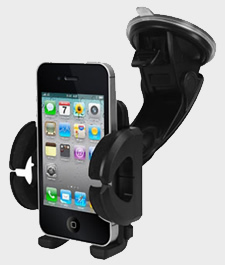 Is this Universal Car holder compatible with it? Will this universal bracket fit a Mio Spirit 685 Sat Nav? Will this universal car bracket fit a Garmin nuvi 1400 series thanks. Will the [ Universal Car Window Holder With vent mount] fit and vent mount a Garmin 3590 sat nav. Hi it should do but check the measurements on our site against it. 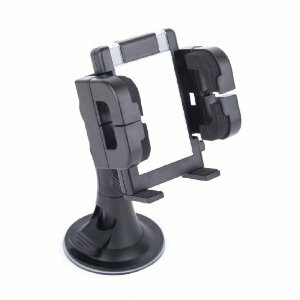 Would this attachment (Universal Car Window Holder With Vent Mount) fit a Tom Tom Via Live 125?